It’s easy to see why people love porcelain veneers. They correct a multitude of cosmetic flaws and deliver brilliant results, and they’re available from Decatur Smiles in Decatur AL. If you are thinking about improving your smile with porcelain veneers, you want a trusted dentist with extensive experience performing this treatment. The porcelain veneer procedure is more complicated than many cosmetic dental patients realize. A porcelain veneer is an extremely thin (about .5mm or 1/64 inch) shell that is permanently attached to the front of a tooth. They are custom made for each patient. Veneers cover chips, cracks, and stains. They can also improve the shape, size or length of a tooth. While preparing a tooth for a standard porcelain veneer is less invasive than preparing a tooth for a crown, it is not a reversible procedure. A microscopically small amount of enamel must be removed to make room for the veneer. Thus, the tooth can never be restored to its original condition. There are also prepless veneers available. With prepless veneers, nothing has to be taken off of the teeth. 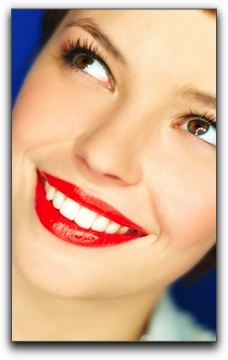 The best candidates for prepless veneers are those who have small teeth to begin with. At Decatur Smiles in Decatur AL, we provide standard porcelain veneers, and prepless veneers to those who are good candidates for them. Schedule an appointment with us today. Dr. Barnes has recently joined the Decatur Smiles family! More Doctors means more availability! Call 256-350-5820 or email us. Returning to your office today was like coming back home... I am happy to be back and appreciating the warm welcome you and your staff have shown. Some things are worth the drive. I feel that this is one of the best cleanings I have ever received and look forward to my next visit. I did not know a visit to the Dentist could be this enjoyable. I want to take this means to thank you for this less intrusive procedure than the crown, which I was frankly dreading... I am very pleased and wanted to thank you for a job well done. Being the quintessential cynic, I find it hard to believe that you and your staff could have pleased me so totally. I am 110% pleased and can recommend your fantastic services to anyone! I can’t thank you enough for the beautiful job you did on my teeth. Everybody loves my new smile!! I was happy to recommend your superb dental care to others. Decatur dentist Dr. Stephanie Teichmiller and her team at Decatur Smiles provide exceptional restorative & cosmetic dentistry, dental implants, dentures, general dentistry and so much more to their patients. They even offer emergency dentistry for patients who need to emergency dental care due to injury or pain. Patients come from all over the Decatur, Alabama area especially the cities of Hartselle, Moulton and Cullman, AL and zip codes 35601, 35640 and 35603.